With the construction industry getting back on track, new commercial development is again on the rise, which provides many opportunities for commercial painters to increase their revenue and take advantage of the return to a growing economy. However, just because there is more revenue to be had does not mean it is time to forget about cost analysis and efficiencies gain in productivity. That's because when the economy rebounds, so does the competition, so it is important to maintain that edge by continuing to make good strategic decisions. A great place to start in terms of cost and productivity analysis is with your fleet of commercial painting vehicles. This is where costs and the service experience are often decided, so it is important to continue monitoring how your fleet of commercial painting vehicles perform. With a fleet of vehicles though, it can become laborious to track every cost and maintenance requirement on every vehicle, especially if you are leaving that responsibility in the hands of your painting crew and they are using manual processes to track things like fuel, mileage, and downtime related to maintenance and repairs. As with many business processes that require reports and metrics, technology is offering the solution for manual processes that fall victim to human error or other unforeseen events. Before looking at how technology can help your commercial painting business, let's examine some of those critical issues that involve your fleet of vehicles. Incomplete Record Keeping and Expense Reports: Your commercial painting crew often forgets to log important information about fuel, mileage, and any repairs or maintenance needs. They are so focused on the painting project that they may lose receipts or completely forget to fill in a report. This means you do not have an accurate accounting of expenses or the state of each vehicle. Forgotten Warranty and Recall Information: Since warranties are often filed away and recall information may never reach you, your commercial painting fleet may be at risk for downtime, safety issues, or even accidents. No company wants to have this level of liability on their hands. Loss in Fleet Vehicle Value: Your return on what is often a sizable investment in terms of buying vehicles for your commercial painting business could be a lost opportunity if you do not track and perform regular maintenance. When it comes to re-sale, you may not get the price you could have gotten if you had complete maintenance records. Taken all together, this functionality within a vehicle maintenance management system means greater uptime, lower costs, and enhanced reputation as a reliable commercial painting company. 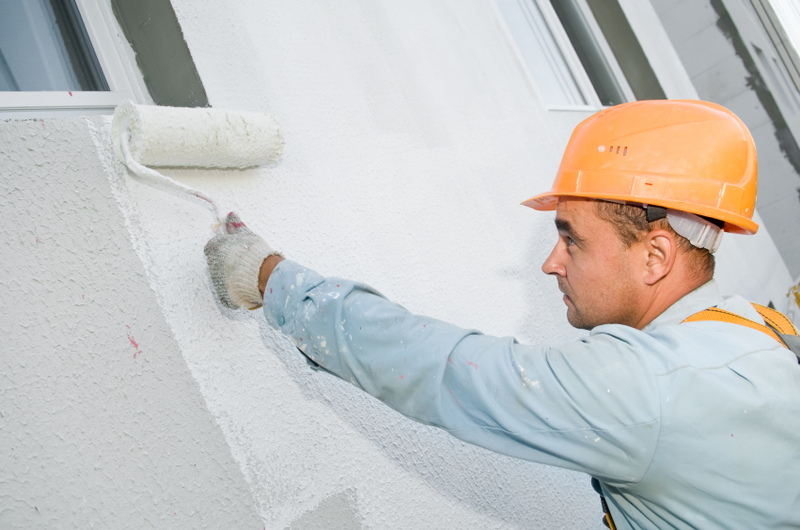 Your paint crews can then focus on what they do best, providing ways to complete and win more commercial painting contracts. Updated and Accessible Data 24/7: Whether you are at company headquarters or on the road for a project, data about each vehicle can be accessed and updated at any time. That means no more concerns over lost or incomplete reports since data can be entered on the fly through a mobile device. Data Integrity: Data is not hacked, corrupted or lost with these cloud-based vehicle maintenance management systems, which can save you time and money. Scalability: This technology grows and changes with your paint contracting business so you do not have to constantly look for new solutions for your fleet management needs. Seamless Integration: This type of solution for fleet vehicle maintenance management integrates with your other programs so you can upload, download, and share data and metrics for even more informed decisions. Is the solution easy to learn and use or will it require significant training for headquarters staff and the commercial painting crews? Does it work on a number of devices, including mobile phones or tablets? Will it enable data analysis as well as various types of reports in order to make the best decisions possible? Will it scale as my company changes and grows? Can the solution import and export data in and out of other types of computer programs? Your commercial painting business can make the performance and cost improvements necessary to take advantage of a rebounding economy and effectively handle the available workload of commercial painting opportunities through a greater focus on your fleet and the crew driving them. In this way, you can realize revenue and reputation gains while reducing costs through a more efficient, reliable, safe and valuable fleet of commercial painting vehicles.